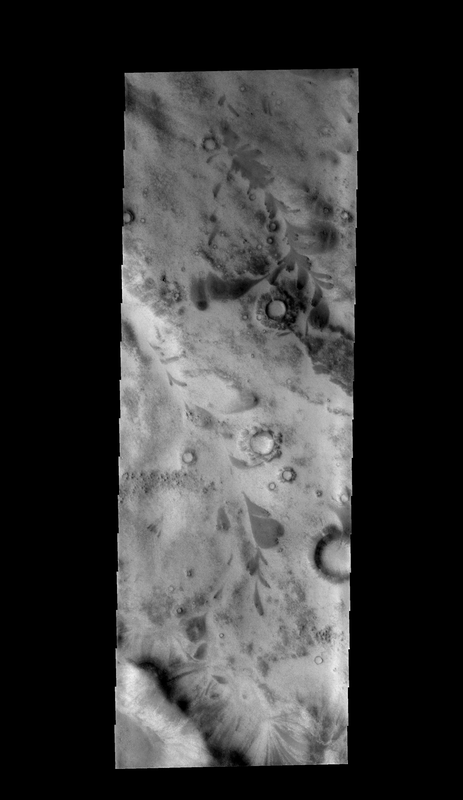 This image is located just outside the south polar cap region. The dark leaf-shaped features are material moving down slope and then down valley. Note that the broad end of the features are located over dark outcrops.